Many general dental practitioners are naturally keen to extend their therapeutic armamentarium and move into new areas of interest. Orthodontics, taught at a very basic level in the Undergraduate curriculum, seems to offer such a new interest. This with the opportunity to use new state of the art appliances, breaking new ground in terms of diagnosis and treatment planning, all of which seem to have an almost revolutionary origin. 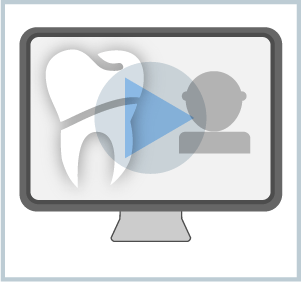 Facial appearance as well as dental appearance and occlusal enhancement seem to be achievable with the simple recording of two impressions of the patient’s dental arches and a parcel in the post, to some centre of new found excellence. This, which will return a state of the art appliance with instructions in “How to use” leading to a beautiful patient with a “smile to die for”. The aim of this webinar is to interrogate this hypothesis and offer all those involved an evidence base analysis of the true position of this thesis. The very origins of orthodontic diagnosis and treatment planning will be described, with an analysis of how evidence based treatment has been established in main stream orthodontics. The source of all of this will be revealed and the evidence base, such that it is, for contemporary main stream orthodontic theory and practice. This will be compare-contrasted with the main stream against what is described in this webinar as 'slick fix' orthodontics. Practitioners, both generalist and specialist, will be armed with evidence based information, to enable them to evaluate for themselves the voracity of the 'slick fix' claims. Give them the opportunity to steer between the pitfalls of seduction, by highly professional advertising, and the apparent simplicity of the therapeutic interventions offered. Balance their natural desire as healthcare professionals to improve the appearance and function of their patients’ dento-facial complexes with tempered informed evidence based practice. Dr Stephen J Powell qualified with a first class honours degree in Dental Surgery from the Royal Dental Hospital, University of London in 1966. He was awarded the Diploma in Orthodontics and the Fellowship in Dental Surgery from the Royal College of Surgeons of England in 1969/70, whilst training at the Royal Dental Hospital, London, and the Hospital for Sick Children Great Ormond Street London. He obtained the Membership in Orthodontics at its inception. Dr Powell has attended and given many specialist courses over the past twenty years, both nationally and internationally and is a member of the British, European and American Associations of Orthodontics. He is actively engaged in the post-graduate training of Orthodontists and is former Post Graduate course director in Orthodontics at King's College Hospital, part of KCL London. He is an examiner in the MSc in Orthodontics of the University of London, the Final MFDS, MJDP and ORE examinations of the Royal College of Surgeons of England.